Snail Shape 5 Pc Silicone Tea Bag Holder Just $1.55! Ships FREE! You are here: Home / Great Deals / Amazon Deals / Snail Shape 5 Pc Silicone Tea Bag Holder Just $1.55! Ships FREE! These are so cute! Perfect for holding your tea bags, but also fun for wine glasses, party cups and more! 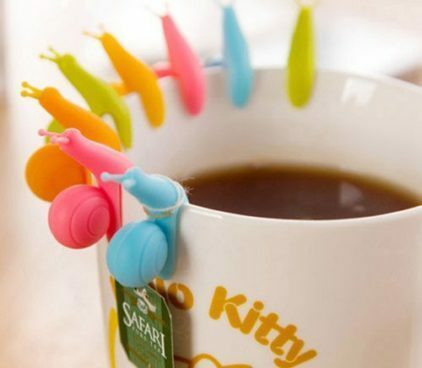 Get the Snail Shape 5 Pc Silicone Tea Bag Holder for Just $1.55! Ships FREE! Also makes a cute gift!